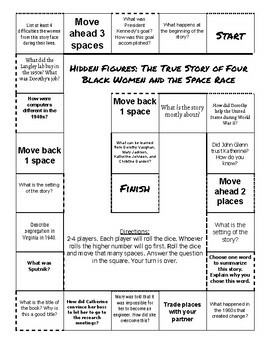 This game board features comprehension questions and vocabulary from the story "Hidden Figures: The True Story of Four Black Women and the Space Race" The kids love to play these board games! It is perfect for early finishers, reading centers, or when you just have an extra few minutes. Check out my store to view more comprehension games!